friendship. You will be missed. Rest in piece Tom. ​was ​made by Kotzmoyer/Sokoloski and carried by the Board of Supervisors. Thank you to David Minnich for the great drone photos of our beautiful memorial. Remembrance starting at 11:00 AM on Monday 27 May in Willow Mill Park. to attend an open house tour of the memorial. ​memorial. The ceremony will end with taps, and raising of the flag to full staff. 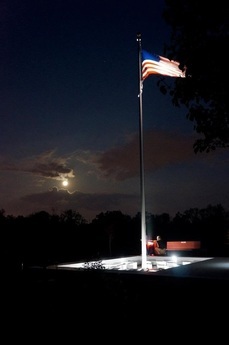 Silver Spring Township Veterans Memorial is located in Willow Mill Park. Find us on this Google Map.